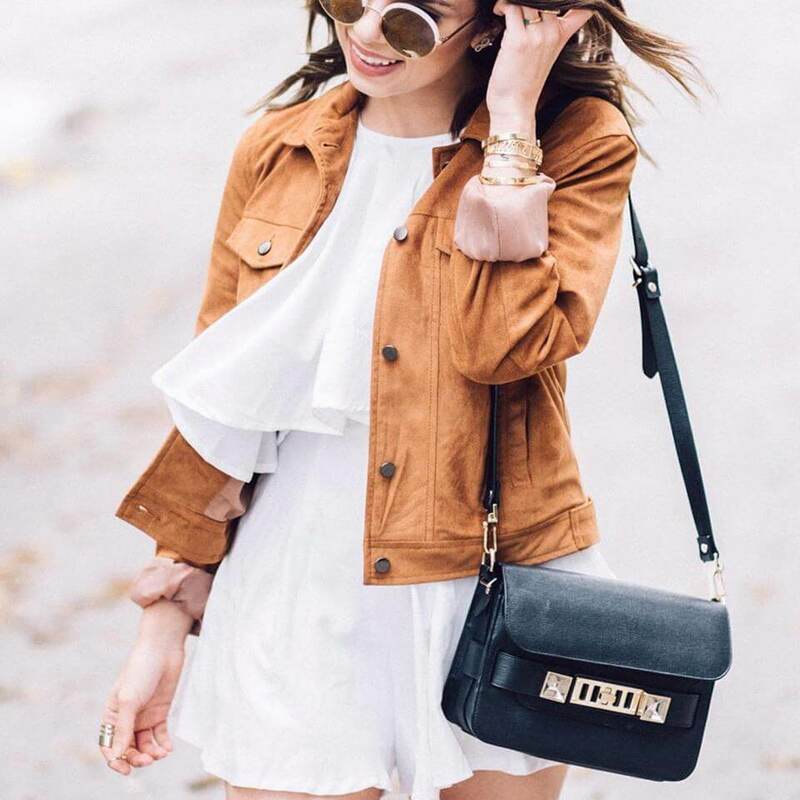 Suede jackets: Jackets in the summer? Yes, we swear! Layer a suede jacket over a breezy summer dress for a boho chic get up. Suede shoes: Who said that you have to keep your blue suede shoes in the closet? Bring out your suede booties for a spin around town with your favorite pair of boyfriend jeans and a summer-appropriate tank. Suede bags: Who can resist a buttery soft bag? Whether it’s a tote bag or a clutch, a suede bag in any color will add an unexpected textural touch to any outfit. Feeling daring? Try a suede bag in a bold hue—hot pink, cobalt blue and coral are all summer-appropriate colors. Get ready to per-suede your fellow fashion lovers to join the bandwagon!